In my ninth year as dean, I remain impressed by the strong commitment of social sciences faculty to research, undergraduate education, and teaching. 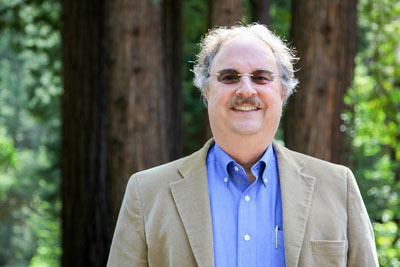 In speaking to colleagues around the country, this part of the UC Santa Cruz ethos is quite unique among other public research universities, and it explains why UCSC is frequently ranked among the top universities that are the best value for parents and students. Publications by faculty in the Division of Social Sciences challenge mainstream assumptions about disciplines. Thus, it is not surprising that the Center for a Public Anthropology, an organization that encourages scholars and their students to address public problems in public ways, last year ranked the Division of Social Sciences faculty seventh in the nation for sharing research with the broad public through the media. The Division of Social Sciences is the heart and soul of the campus, as well as the academic home of a stunning number of Banana Slugs. The division includes nearly 45 percent of the undergraduate majors at UCSC and about 25 percent of all the graduate students. Undergraduate students—both incoming freshmen and transfer students—continue to knock down our door to major in the social sciences. When I am asked why the social sciences are so popular among today’s youth, I always point out that today’s students, particularly those special ones who decide to attend UCSC, are seeking to take classes on subjects that have clear relevance and purpose. The importance of social sciences more generally is evident, for example, in news media reports, where nearly every story touches upon some aspect of the fabric of society. Today’s students are extremely interested in ethics, citizenship, and social and environmental responsibility, and they want to be able to give back to society when they graduate. All our majors provide this opportunity for our students. When Social Sciences alumni tell me about their experiences at UCSC, they describe faculty and students from various disciplines and academic backgrounds interacting with one another and debating the major social and political problems of the day. Interdisciplinary research and education was common across the entire campus, and faculty in divergent fields of study would regularly collaborate with one another on important work. Although the campus has grown, faculty and students still interact often and pursue interdisciplinary research and education, which makes UCSC in general—and the social sciences in particular—a very special place. While faculty at other universities are required to publish in only certain prescribed journals and students must take a fixed regimen of classes, the Division of Social Sciences is still a place where the uncommon becomes authentic, innovation meets ambition, and risk taking is not only encouraged… but is rewarded. As we continue to move through this new century, my goal is to make the Division of Social Sciences even better and to allow even more students to attend UCSC and major in social sciences. I am working hard to accomplish this goal in partnership with dedicated, talented, hardworking faculty and staff. Please write me if you have any questions (sk1@ucsc.edu). Or, better yet, stop by the next time you are in the neighborhood.